It’s hard to describe the mixture of trepidation and exhilaration when approaching the base of a mountain like Covadonga on a bicycle, knowing you are going to have to keep going till the summit, not allowing yourself to entertain the thought that you will give up half way up, yet secretly harbouring that destructive thought. Once you get going, however, all those feelings are replaced by the simple physical exertion. Although its only 1134m a.s.l., the road reaches a gradient of 15% over an 800m length towards the end of the climb. It was a beautiful day when I went up, and well worth the effort to be able to descend without any effort whatsoever – just like being on a motorbike, but MUCH quieter and more enjoyable! 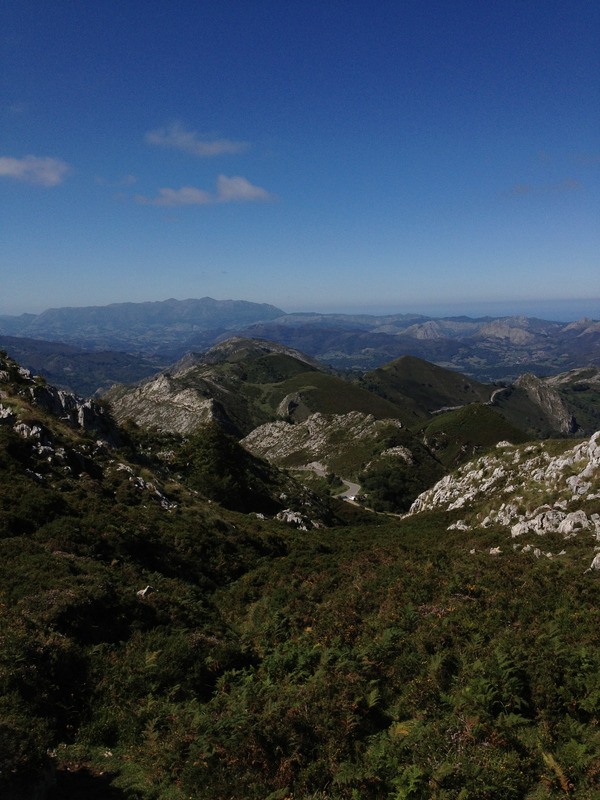 This entry was posted in bicycle, mountain, Picos de Europa on 29/10/2013 by tim strang.